What Are the Advantages of the Transmission Electron Microscope? What is the Difference Between a Magnifying Glass and a Compound Light Microscope? How Does a Microscope Magnify Objects? What Are the Three Main Types of Microscopes? Microscopes stand as an incredibly important scientific development, their invention having opened the field of microbiology altogether. While modern microscopes can enhance images far and beyond their earlier counterparts, they also have varying levels of technological sophistication and find use in different fields. Microscope types can be broken down into three main categories: optical, electron and scanning probe microscopes. The earliest known idea of a microscope dates back to 13th-century England, but historians credit the invention of the first proper microscope, which fell into the optical category, to three Dutch spectacle makers, father and son Hans and Zacharias Jansen, and colleague Hans Lippershey. Most of these inventions can fall into the three larger categories previously mentioned, but there are exceptions, like the x-ray microscope and the ultrasonic microscope. Scientists use three types of microscopes, each with their own purposes: optical, electron and scanning probe. The earliest, and simplest, microscope used a singular convex lens to magnify an image placed under its focus. Over the years, scientists added more lenses, creating compound microscopes with increasingly powerful magnification. Compound microscopes can make objects as small as 0.2 nanometers visible to the human eye. Further developments helped make this relatively simple piece of technology an effective tool, such as the addition of a light placed behind the microscope's subject (assuming it is somewhat transparent), or the use of different strategic light characteristics to better illuminate different subjects; some lights are better at lighting up crystals, for instance. 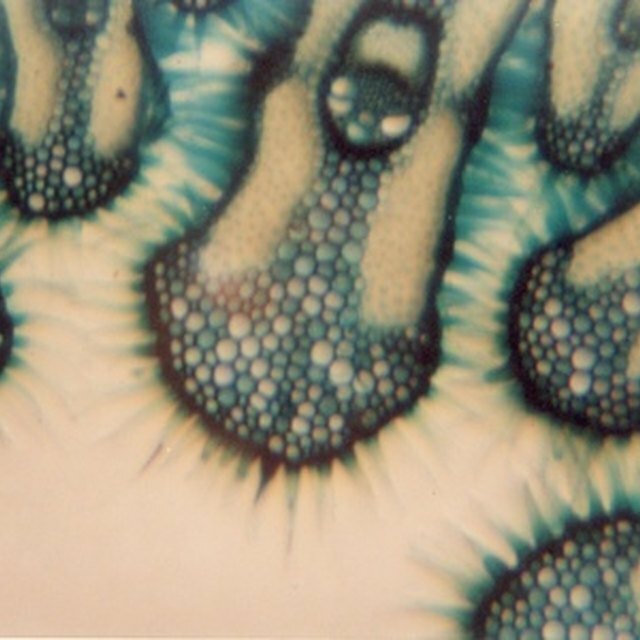 Optical microscopes can provide high levels of magnification, but with low resolution, and they are the most commonly found type of microscope. Electron microscopes shoot beams of electrons at their subject, which is held in an airless, vacuum-sealed tube. Scientist often use these microscopes to study cells. In the case of transmission electron microscopes, the electrons shoot through a thin and dehydrated subject, hitting a film placed behind the subject, forming an image that includes the inner structures of a cell. Scanning electron microscopes shoot a beam of electrons over the surface of a subject, creating a three-dimensional image. These microscopes have a magnification of up to one million times what a human eye can see with clear resolution. This microscope runs a probe, whose metallic tip can be as small as an atom, over a microscopic surface. The probe can measure a number of things as it rolls over the subject, from physical depth to electronic and magnetic forces. These microscopes can be incredibly powerful and can resolve subjects smaller than a nanometer; however, the resulting images have no color because the probe measures things other than visible light. This technology found its beginning in 1981, in an earlier iteration called the scanning tunnelling microscope. University of Massachusetts Medical School: What Is Electron Microscopy? How Do Microscopes Improve Our Lives Today? Johnson, Doug. "What Are the Three Main Types of Microscopes?" Sciencing, https://sciencing.com/three-main-types-microscopes-12507.html. 26 April 2018. What Are the Different Types of Microscopy Used in a Microbiology Laboratory?